So, you’ve thought twice about buying something new. You’ve tried to buy with low impact. You’ve mended, patched, and repaired your clothing within an inch of its life. But now you’re out of options! Do you have to throw it in the landfill? Fortunately, there’s some other options left still. Wait, you can recycle textiles? Well, not in your blue bin, but there are some options. Basically when clothes are collected for recycling, a few things may happen to them. Unfortunately, only a tiny fraction of clothing can realistically be recycled into new garments today, but much of what you may have thought was beyond hope, can be used in some way as a functional product. What Textiles Can Be Recycled, and Where? In Manitoba, you’ve got a number of options for those grubby items that are too crappy to donate or sell. Value Village, Salvation Army, & Goodwill To the best of our knowledge, these organizations will accept all items (clothing, shoes, towels,sheets, etc), including those that are worn out/stained. We recommend bagging these items separately and labelling. 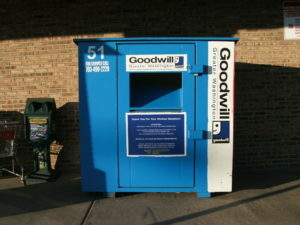 Note that Salvation Army and Goodwill are nonprofits, and Value Village is a for-profit corporation. Diabetes Canada sells items collected in their boxes to Value Village. H&M Stores All clothing items, regardless of brand or condition. With a drop off of clothing, you receive an H&M gift card. Although H&M is an icon of fast fashion, we have to commend them for considering the end of life of their products. Patagonia, Nike’s Reuse-A-Shoe, and other brand-specific takeback programs Patagonia only accepts Patagonia-brand items, but will accept ALL Patagonia-brand items. Nike’s Reuse-A-Shoe accepts Nike brand shoes only and is not available to Canadian customers at this time. It’s always worth checking if your favourite brand has a return program, and asking them to start one if they don’t – customer pressure makes a difference! Want to learn more? Check out this great video from Australia’s ABC TV, or read these articles from CBC! Did we miss anything? Let us know in the comments below, and we can help even more people reduce their textile impact! Don’t miss it! 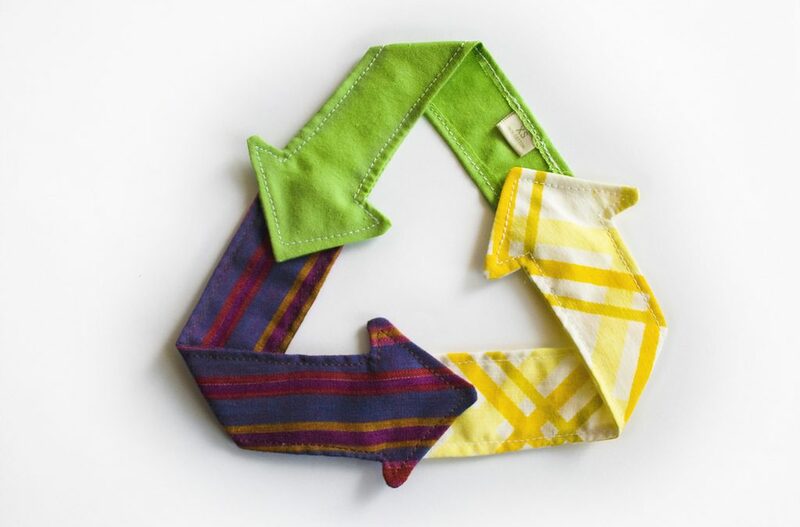 Read Part One of this series to rethink, reduce, and reuse your textiles! The Goodwill on Princess St said they no longer accept these donations. Thanks for the update! Personally I keep a bag in my basement where I put single holey socks etc. and then either bring it to Salvation Army or Value Village, or put it in a Diabetes Canada bin – and labelling is an excellent idea! It’s important to take pity on the sorters and separate out the old/holey items so they don’t waste time on considering whether it can be re-sold. Nike’s Shoe Recycling program is available in Canada. It’s called Old Soles Never Die. I did a quick search and could only find references to Old Soles Never Die from American sources. Do you happen to have a link to any online information on a Canadian branch of this program? Have you tried it successfully yourself? It looks like Old Soles Never Die is a reincarnaton of the Reuse-A-Shoe program from several years ago, but information is pretty limited. After reading about the t-shirts etc…perhaps the many church groups that make quilts & such for Humanitarian entities would be interested, as well as any quilt group or rug making people.Animal rescues are another grp that may benefit from such clean cloth sources. FYI, those blue bins seen everywhere that is thought to be for the Cdn diabetes only-Walmart has taken those over, so not sure how “green” or a good choice they are! Good Luck! Thanks for your suggestions for other sources to drop the clothes, Jane! According to up to date information from the City of Winnipeg, the Canadian Diabetes bins at least in that city are not affiliated with Walmart. As far as we’ve been able to determine, the clothes from those are brought to Value Village. There was some question a while back about a potential link between Value Village and Walmart, but that’s been shown to be incorrect thankfully. Do you have any more info on the link you’re seeing between the Diabetes bins and Walmart? We are of course curious to track down the best information possible! I have about 2000 brand new T-shirts, but the logo is no longer valid, so I can not donate to a Thrift store. i would like to donate them for insulation or some other use. 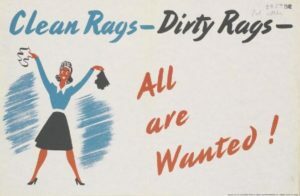 We will pay to have them shipped to you. we are located in Lake County, CA. Unfortunately we are not in the business of textile recycling ourselves and cannot accept a shipment of shirts. However, I would recommend that you look into a local option – in Canada, the Canadian Diabetes Foundation collects clothing for both donation and recycling. Value Village and Salvation Army typically will recycle unusable textiles as well. You may have other local textile recycling options as well. Thanks for your commitment to keeping these shirts out of the trash! I work for a restaurant company and we have a few hundred t-shirts that are no longer being used due to old branding. How can we have the recycled? If they’re still in good condition, we would suggest donating them to a thrift store or local shelter. It’s always best if clothing can be reused before recycled. If that’s not an option, the clothing can be recycled in a Diabetes Canada Textile Recycling Bin. Likely they would be willing to pick up the load from you if you have quite a bit (but you would need to reach out to them to confirm).